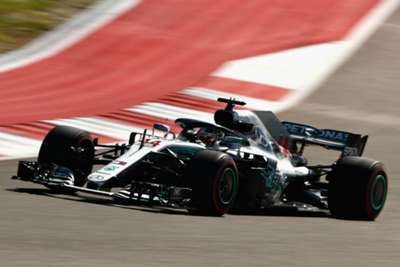 Hamilton looked on course to secure the title as he led with 19 laps remaining in Austin, but his soft tyres were unable to keep him in front and he was forced to pit for a second time late in the race – handing victory to Kimi Raikkonen. That. Was. Tense! @LewisHamilton gave it absolutely everything, but it’s not quite enough this time! A second stop on lap 37 opened the door for Raikkonen to clinch his first victory since the 2013 Australian Grand Prix – ending a winless streak stretching 111 races. Attention turns to Mexico in seven days' time with Hamilton hoping for a repeat of his 2016 victory as he aims to move level with Juan Manuel Fangio on five titles.